Italy is home to some of the oldest wine-producing regions in the world. Etruscans and Greek settlers produced wine here long before the Romans started developing their own vineyards in the second century BC. Roman grape-growing and wine making was prolific and well-organized, pioneering large-scale production and storage techniques like barrel-making and bottling. Two thousand years later, Italy remains one of the world's foremost producers, responsible for approximately one-fifth of world wine production in 2005. Important wine-relevant geographic characteristics of Italy include the fact that Italy is a peninsula with a long shoreline, contributing moderating climate to coastal wine regions, as well as extensive mountains and foothills providing many altitudes for grape growing and a variety of climate and soil conditions. Grapes are grown in almost every part of Italy, with more than 1 million vineyards under cultivation. 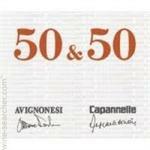 Italy’s most popular wines include Barolo, Barbaresco, Brunello and Chianti Classico. The Sangiovese grape is Italy's claim to fame. It produces Chianti Classico, Rosso di Montalcino, Brunello di Montalcino, Rosso di Montepulciano, Montefalco Rosso, and many others. 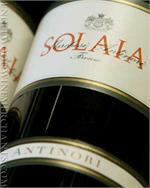 The term "Super Tuscan" describes any Tuscan red wine that does not adhere to traditional blending laws for the region. For example, Chianti Classico wines are made from a blend of grapes with Sangiovese as the dominant varietal in the blend. Super Tuscans often use other grapes, especially cabernet sauvignon, making them ineligible for DOC(G) classification under the traditional rules. The wine has an intense ruby red color. 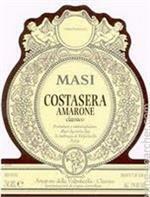 It offers full and complex aromas which recall ripe fruit, plum jam, mint, chocolate, and tobacco. 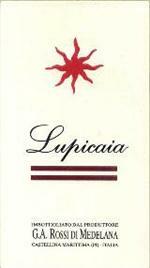 In the mouth, the wine presents itself with good body; it is round, with soft, velvety tannins. 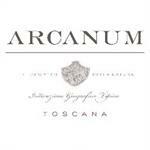 Arcanum is the pinnacle of the estate’s offerings. Based on Cabernet Franc, the true signature of the estate, this remarkable wine is built to age yet is drinkable young, offering aromas of violets, roses and raspberries, with long and delicate spice. Discovering Italy's Finest Wine Values "A massive, generous wine, it literally bursts onto the palate with waves of game, earthiness, mint, spices, herbs and bacon fat notes that swirl around a core of ripe, dark fruit. Wine Spectator 91 points - Concentrated black currant and cherry flavors add accents of chocolate, earth and sweet spices to this version, buoyed by dense tannins. Remains bright and fresh on the long, spice-tinged finish. Drink now through 2024. 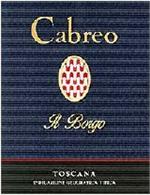 Excellent red Italian wine! Full body, warm, and complex to go with red meats. 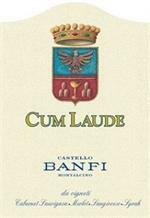 This wine is from Italy, Veneto region, Venezie sub-region. PINOT GRIS Wine Italian Still Wine. The mineral, aniseed and crushed dark berry flavors are impressive. Dense and concentrated, yet balanced. Sangiovese and Cabernet Sauvignon. Best after 2011. 6,000 cases made. Score: 94. —James Suckling, October 31, 2009. Score: 91. —James Suckling, October 15, 2008. Aromas of fresh herbs, currant and blackberry follow through to a full body, with chewy tannins and a long, chewy finish. A classic Bordeaux blend. 95 points, eRobertParker.com (Issue # 213 - Jun 2014) Bright red-ruby. More reticent on the nose than the Mosconi, hinting at medicinal black cherry. Then densely packed and sharply delineated but closed on the palate, with vibrant plum. Goldenrod straw yellow with green reflexes . On nose it was elegant with ripe fruit, fresh herb and floral aromas. In the mouth full-bodied (BIG) and rich, concentrated and viscous, complex, fresh, succulent and long, long and long. Steven Tanzer, IWC rating 93(+). Deep, bright red. Nose initially shows dark berries, chocolate and sweet oak but opens with air to reveal redder fruits and flowers that carry through onto the palate. Big, chewy and rich! 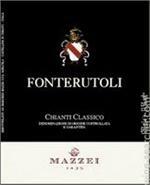 "There's fabulous fruit on the nose, which is very pure, with crushed blackberry and blueberry. Full-bodied, with super fine tannins and a long, caressing finish. This is so long and beautiful. Best after 2014." 96 points, Wine Spectator. Livernano's flagship wine is a blend of grapes from the best Cabernet Sauvignon, Merlot, and Sangiovese parcels. 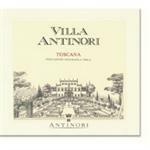 Majestic and age-worthy, it offers richly fruited aromatics and a powerful structure. Proud, majestic, complex and exuberant: this is Masi's gentle giant. A benchmark for the Amarone category, which, together with Barolo and Brunello, makes up the aristocracy of the Italian wine world. The product of Masi's unrivalled expertise. Though ripe and intense, this is also lively and packed with alluring plum, blackberry and spice flavors. The tannins have softened up and a saline element graces the finish. Sangiovese, Cabernet Sauvignon and Merlot. Drink now through 2018. Wine Enthusiast 90 points. 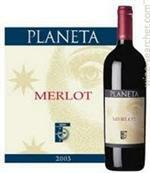 Fresh black cherries,coffee, chocolate, and delicate notes of crushed mint characterize this plump, juicy Merlot. It boasts a dark ruby color and nice combination that feels supple and creamy in the mouth. 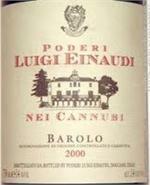 Many critics score this Barolo wine highly : The Wine Advocate gave the 2010 vintage a score of 95 out of 100. 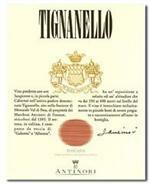 The 2009 vintage was awarded Corone from the Vinibuoni d'Italia. This is one of the most popular wines from the region.